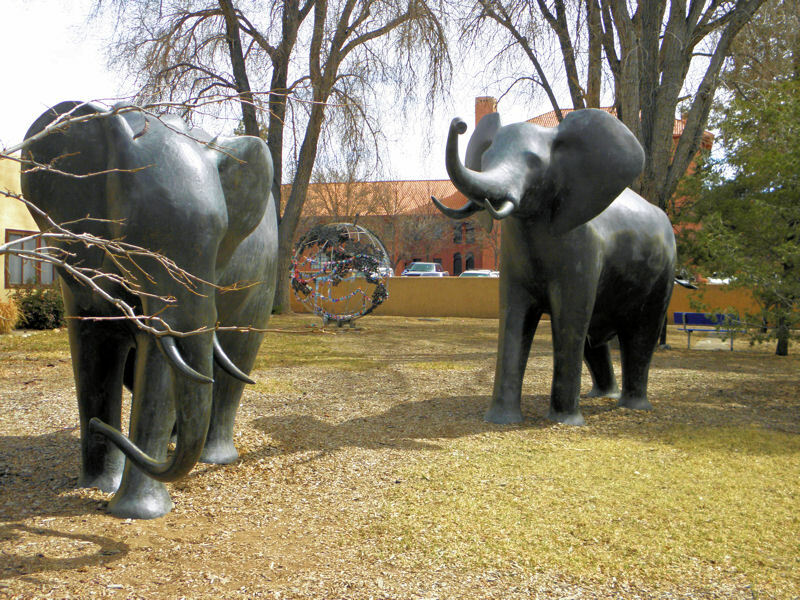 Los Alamos Daily Photo: Elephants in Santa Fe? Elephant sculptures at the Ghost Ranch offices in Santa Fe, NM. Ghost Ranch has offices in Santa Fe in a addition to the much larger location in Abiquiu. Nice sculptures, do the elephants have any significance or are they just random? I'm sure the sculpture had significance in mind. He does large sculptures and elephants are large.